It’s no secret that no two employees are alike. Every team has employees who work differently and have different needs when it comes to being creative. That’s why it’s important that you provide the right kinds of creative spaces that will enable your team to innovate. Below are a few different types of work spaces that combine place and technology. Here’s how to design different creative spaces to help people generate new ideas and move them forward. When we think of creativity and innovation, we often think of collaboration. 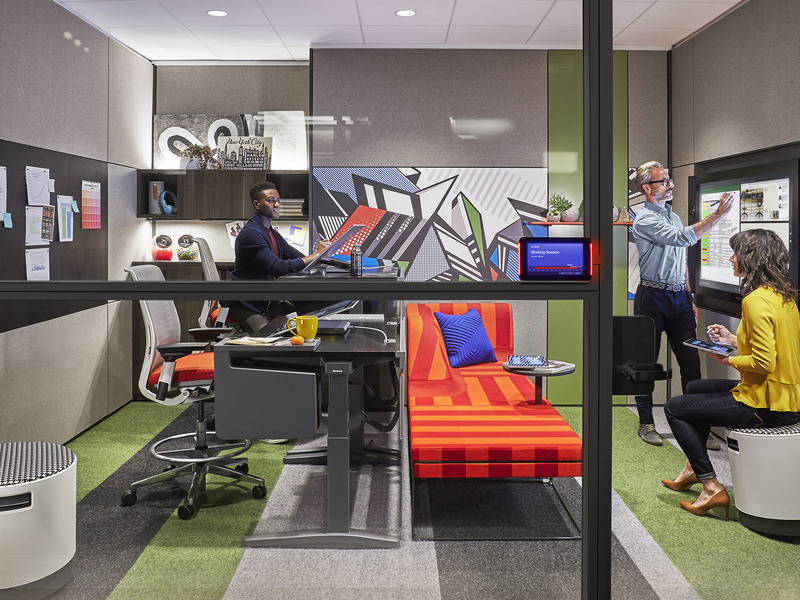 Creative spaces where employees can come together and generate revolutionary ideas are vital for innovation. Collaborative spaces include a place for teams to brainstorm and have productive conversations. As a result, having the necessary tools and resources is also an essential part of collaboration and creativity. Incorporating technology like smartboards, wireless capabilities and bluetooth into your work environment is a great way to encourage employees to brainstorm and innovate. While having a place to come together is vital to creativity, so is having a place where employees can focus and be alone. Focus spaces are creative spaces that are made to block outside noise and distractions. This allows workers to have a space to themselves. Whether an employee is brainstorming individually or meeting a deadline on a project, focus spaces provide them with the comfort and technology they need to get work done. Some employees may need time to rejuvenate from the bustling environment of an open office design or collaboration session. So if that’s the case, providing them with a space where they can recharge will increase their happiness and creativity. Sometimes the best ideas happen while friends are chatting about their day over a cup of coffee. 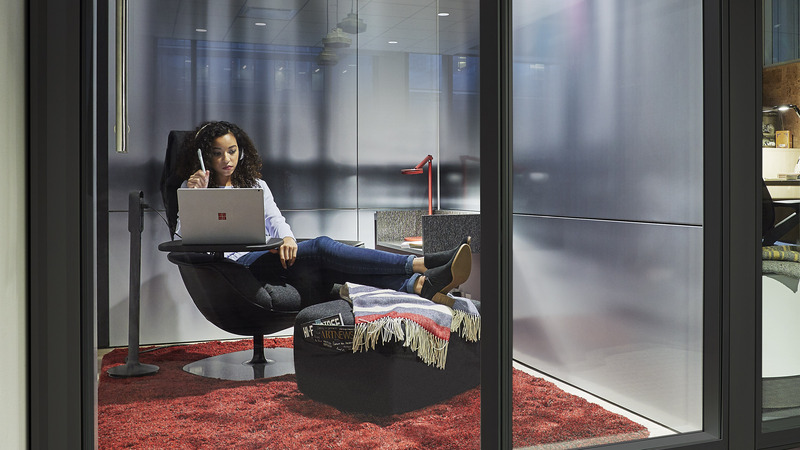 Social lounges allow workers to do that right in their own office space. One of the best parts of social lounges is their ability to be used as a versatile space. They can be used as work cafe areas, break rooms, an area to eat, and a place to hold conversations. Designing an office with every kind of employee in mind isn’t as difficult as it seems. Hannaher’s Workplace Interiors can help you turn your office into a creative space that encourages creativity and innovation in all of your employees. Contact us to learn more.